Edited by b48g55m, 03 March 2018 - 07:29 AM. It's nice to have a project which is being enjoyed by people. 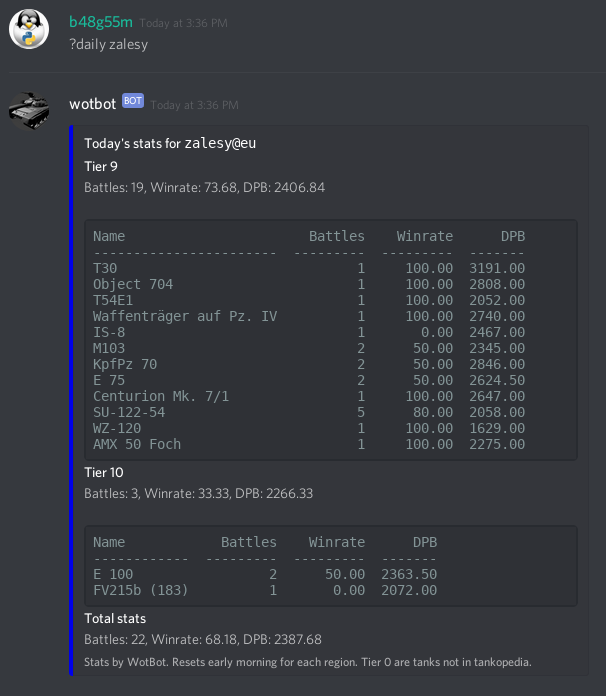 300 servers have been using Wotbot. 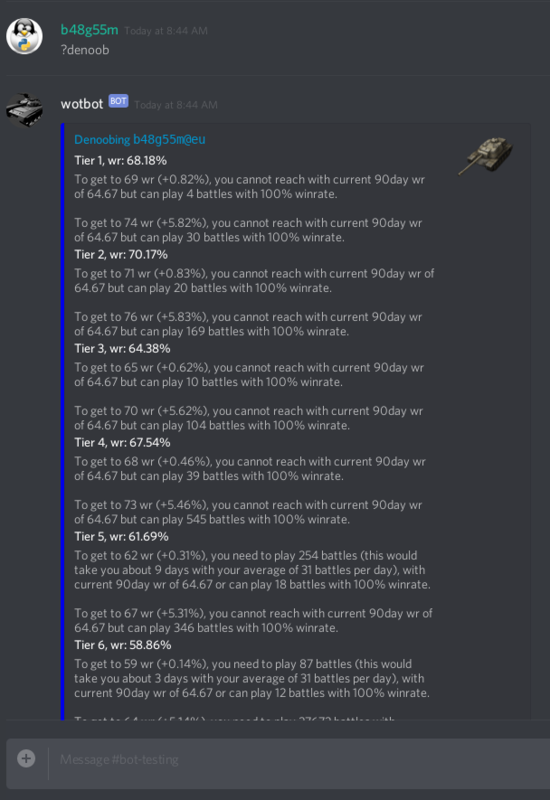 Many features have been improved, like the denoob/unicum showing how many days it takes to get to a goal or denoob now showing all tiers at once. 4.9 data used for BlitzQuiz. 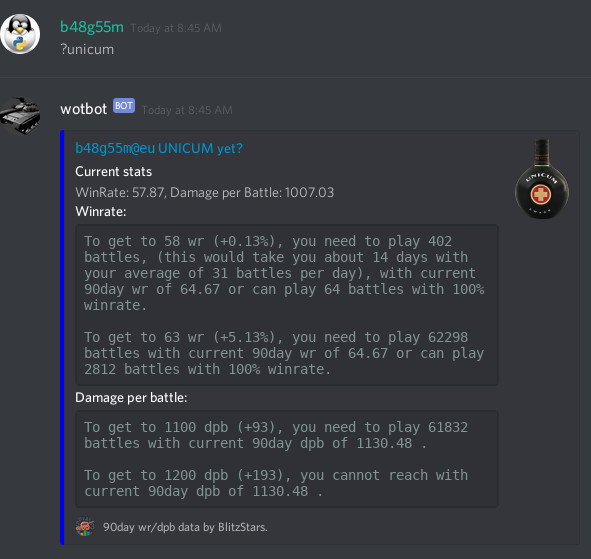 And amazingly, over 500 servers now use WotBot. To show you player's today activity and stats. Every night at about 4am regional time the stats are being reset automatically. 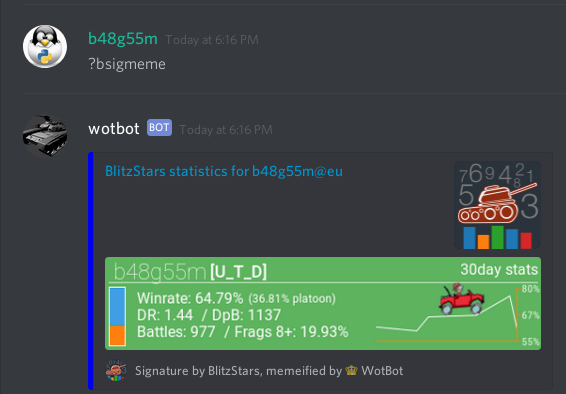 Unlike BlitzStars, it contains unique data not mixed with previous battles. 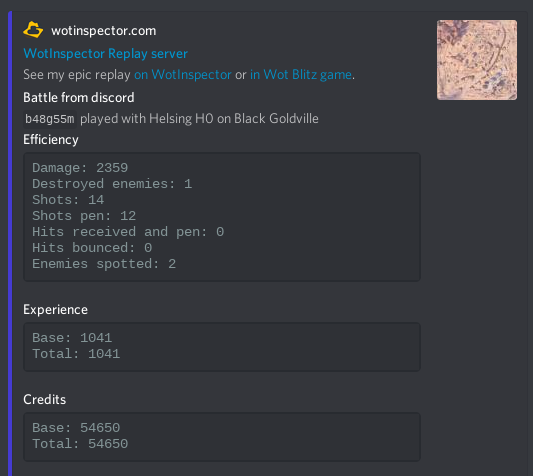 New ?replay command allows you to upload your replay file to WotInspector and at the same time display battle details. For best results, always stay in the battle until the end, otherwise detailed game data is not available. All credits should go to WotInspector creator Andrew. 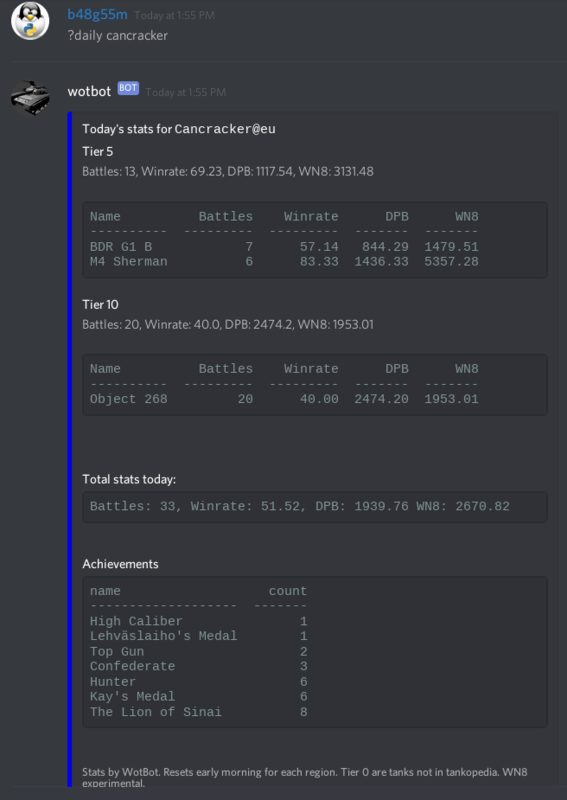 you can now set the @wotbot to automatically process replays - it will upload it to to WitInspector and post battle info to the room. 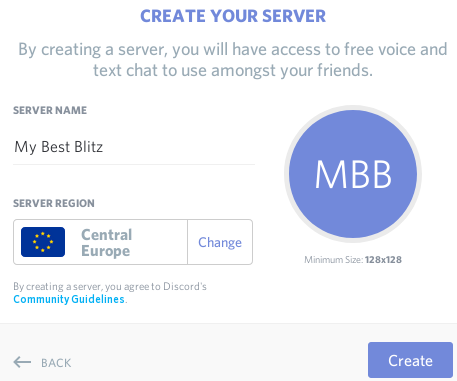 This means that you can simply share the replay directly from the game to your discord room and that's it. 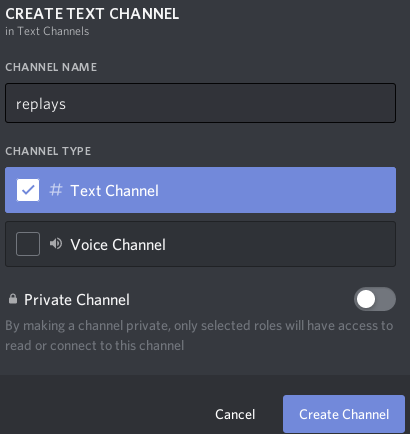 You can have multiple rooms (channels) which auto-process replays. Also, you can select multiple files to be shared from the WOT Blitz game, i have tested it and up to 1O seem to work - be shared - reliably. Edited by b48g55m, 27 May 2018 - 05:09 PM. That's it! 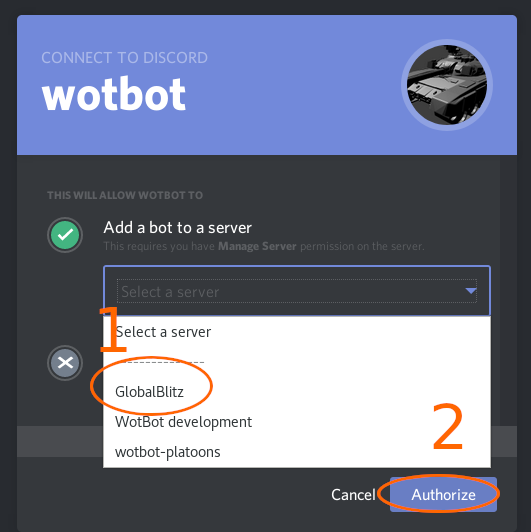 Now WotBot is part of your server. 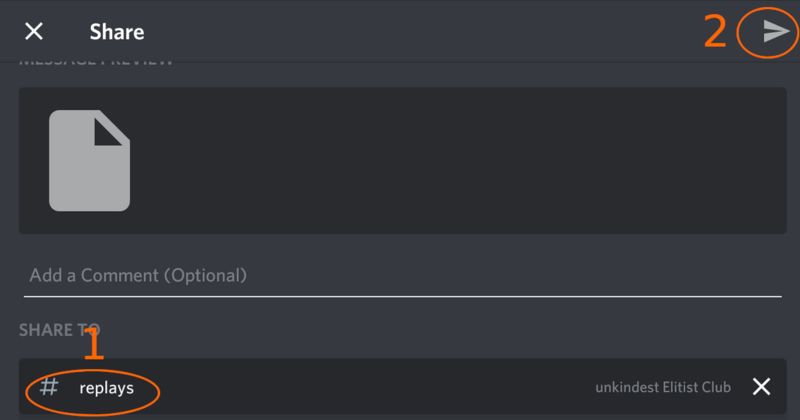 You can talk to it via commands that start with ? Hint: you can share multiple replay files by selecting several of them. Edited by b48g55m, 03 August 2018 - 07:38 AM. Improvements happening every day now. 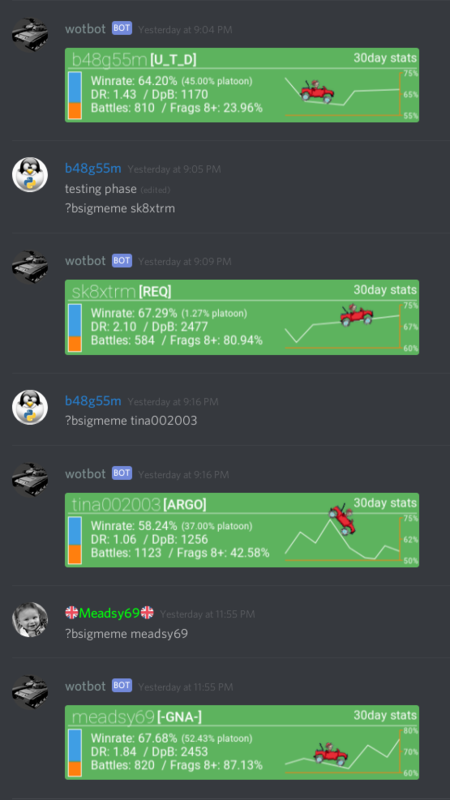 Some parts of the bot are now much faster (?replay ,?clanactivity). Better and faster listing of replay files, see pictures. Edited by b48g55m, 04 June 2018 - 03:36 PM. hi Good new replay function but the display is a bit ... thick. 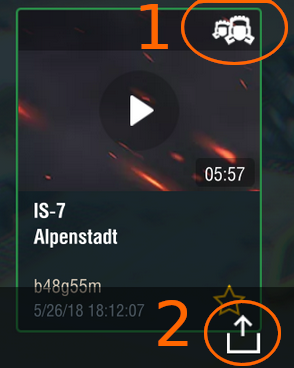 Could you lighten it, not displaying medal, allies, enemies, maybe using an option for a complete or light version ? A suffix c or l after the ?conf replay-channel add could be a smart way to choose the amount of data . Anyway, once again, thx for your great job. I will think about it. Perhaps an option to the ?conf. edit: let me wait until after 5.1, to make sure even more time is not invested into something, that might become accessible. WG giveth, WG taketh away. Edited by b48g55m, 15 June 2018 - 06:17 AM. Short is just the links to the replay, medium includes sections Details and Efficiency, long contains everything including teams. 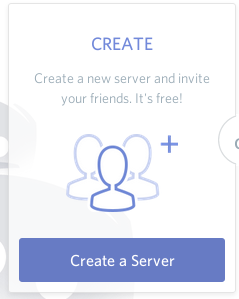 This is server-wide settings. Edited by b48g55m, 28 June 2018 - 09:50 AM. Once again, thx for your responsivity. I suppose we have to conf each existing replay channel as we want. WN8 is a good step forward too.